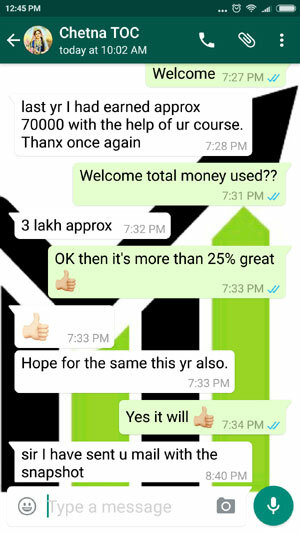 We had back to back 2 volatile months and therefore some of you who have done my course may not have been able to make too much money. And it is perfectly ok, one or two months in a year can be very volatile and its accepted that the 3% target in a month cannot be met. These months teach us a lot. You may have seen that the losses are pretty small and manageable, and the best part is you do not worry about these losses as they cannot damage your portfolio. We are traders and we have to live with it. Please remember that my strategies are not one day wonders, they are a life time wonders and you must have patience to keep trading them to make money, in fact a lot of money over a period of 8-10 years. On Tuesday, 5th of April 2016, RBI will announce its policy decision on repo rates. Bankers and markets are expecting a 25-50 basis points cut in Repo rate following the recent reduction in small saving rates by the government. I think RBI being very conservative, will cut repo rate by 25 points only. Since this is already factored in by the markets (the recent rise of 400-500 points), there will not be much movement once the news is announced. However VIX will fall for certain – that is for sure. And banking stocks will go up since they benefit the most whenever a rate cut is announced by RBI. Investors can collect banking stocks. Now back to helping my paid subscribers. Currently INDIA VIX is at 17.28 – a 4.22% increase over previous close. On Monday, 4th of April 2016, it will increase slightly or be stable. But once the repo rate cut is announced at 11 am next day, VIX will fall sharply. So what my paid subscribers can do? If you have recently done my conservative option course trade the Strategy 1 on Monday at around 3 pm. Why 3 pm? Because if anything is left to factor things in, markets will do that by 3 pm. Also VIX will be at a high. We do not want to get caught in a momentum and I really do not think there will be much movement after the RBI policy is announced as 25 basis point cut is already expected. So VIX will fall and you can make money fast. On the other hand if a 50 basis point is cut, Nifty will move up – still VIX will fall and the trade can still be in profit. So whatever happens, you will profit. 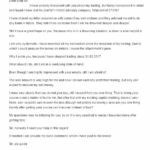 If there is a 50 point cut – aggressive traders can trade the Strategy 2 directly on the PUT side. In that case Nifty may not fall for the next few days and the trade will be in profit. 4-5% on that trade can be easily made. Do not trade the directional because too much movement is not expected and VIX will also fall – this is perfect for a non-directional trade rather a directional trade where we want VIX to increase and a huge move to come. It does not matter which way, the trade can still be in good profits, but right now hold on. Range bound markets are best for conservative trading where you do not predict market direction, continue with your job and still make money. You must learn conservative trading if you are serious option trader. You can use the hedging methods described in the course to make your own option strategies and make money. Update on 06-April-2016: INDIA VIX has started to fall. At 10.10 am while writing this it is at 17.66 or almost 1% below previous close. Moreover Nifty also did not move much. Though VIX is not falling the way we wanted it to, a slow fall also is not bad. Premiums will evaporate in Options and Strategy 1 can be in profits in 10-12 days from the day it was initiated and this includes holidays. Please keep an eye on the premiums though. Calculate once at around 10 am, then when you are having your lunch at around 2 pm. In between continue with you job or business, forget that you are even trading. What’s the point in trading if you are trading with stress? Learn to trade stress-free. Once you learn to trade stress free you will be happy in your life as well. The aim of my course is to help you trade with confidence, peace of mind, and build a great portfolio for your future. Not to trade for fun and to lose money trading, trying to make a lot of money everyday. It is not just about the strategies, there is a lot to learn in the course. You will be able to make your own strategies as well. I want you to reach a level where you can make your own trades according to your risk profile and life style. My support will always be there. Traders have to live with Volatility and / or losses. Range bound markets r good for conservative / non-directional trading. Nothing amazing. Just coincidence. Opened my mail an Hour back. Found ur mail & read & commented. Actually am logging behind in my project of going through all Ur posts in a chronological order taken up last month. Aiming to finish the project this month. Let me C what best i can do. 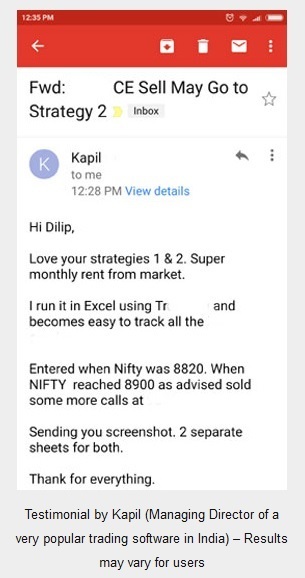 Sir please confirm whether Strategy 1 has to be done on 5th April at 10 am (one hour before RBI policy) when VIX would be very high. Or whether Strategy 1 has to be done on 4 th April at 3 p.m. Sir, please provide your valuable comments. Thank you. On the 5th morning you may not find time, and miss the 11 am deadline. Usually VIX will fall slightly on the same day even when the news is not out, as most trades that needs to be done before the event is done. So I feel 4th is better. Thanks Dilip for your guidance. Thank you. Thank you. 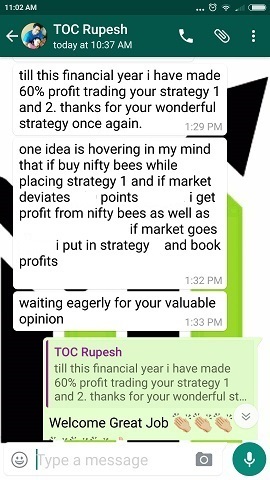 Traded Strategy 1 on 4 th April and closed on 11 th April. 12 lots. Profit Eleven thousand. 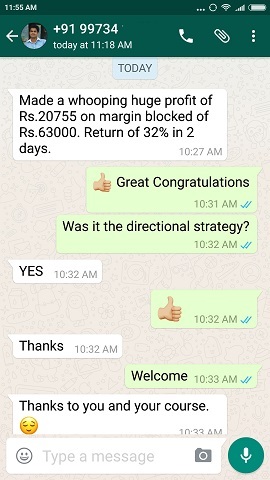 Traded Strategy 2 on 6 th April and closed on 11 the April. 12 lots. Profit Thirteen thousand. Thank you. Thank you. Thank you. How much capital was blocked for this profit ?